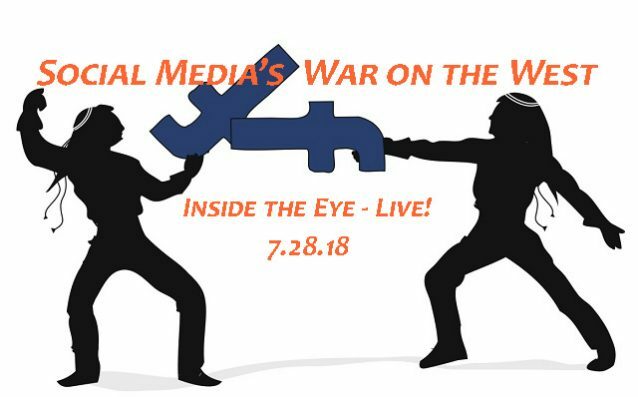 Social Media – The Conspiracy to Alter Perception – 7.28.18 | Inside the Eye - Live! As both Twitter (TWTR) and Facebook (FB) stocks tanked to close July, 2018, a disturbing pattern of abuse by social media companies have begun to surface against the users of these platforms. The result is declining usage, a slowing growth rate, and falling revenues. All of this is, of course, a toxic mix, punishing Facebook to the tune of US$119 billion in what is a record loss for a single company in stock market. A couple days later, Twitter saw the same toxic mix affect its stock price as it, too, fell some 20%. Company officials from each company ascribed the results to each company’s efforts to improve platform “health”: what they were really saying was that each company is working to implement Jewish inspired censorship requirements as well as their respective efforts to self impose censorship as a part of their operational policies. A discussion ensued regarding Twitter’s “shadow banning”, a strategy used by Twitter to ensure that Jewish centric, LGBTQP centric, and general “leftist/progressive” agendas are promoted above traditional Western values and interests. In fact, virtually all media personalities within the “ITEL network”, including Frederick Blackburn’s Twitter “blackbird9_9“, Andrew Carrington Hitchcock’s Twitter “achitchcock“, and many others, are in what is known as a “QFD Shadow Ban”, a tactic that effectively pidgeon-holes the messages being sent out into tightly controlled, marginalized “echo chambers”. 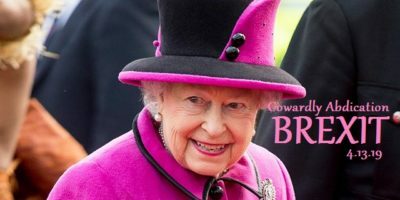 The failure to inform the user of these tactics, as well as the support lent to competing ideologies, is, as far as we are concerned, tantamount to fraud and discrimination. More, when applied to the political world, unilateral support given to one side of the political spectrum but denied another is nothing less than undeclared contributions to political affiliations, acts that violate American Federal Election Commission rules. 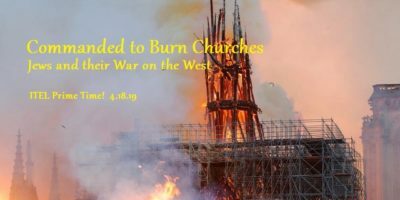 This show discussed at length the current social media environment pro-American, pro-European, counter-Semitic, and traditionalist Americans face as they take on this globalist agenda intent on destroying the very fabric of Western civilization. Jan Lamprecht from History Reviewed came on in the third hour to discuss some of the latest political and economic developments affecting the Horn of Africa.